If the dictionary had a listing for "bleeds Orange, Green and White," Norm Parsons' picture would be next to it. In over 40 years of service to the University of Miami, Norm has become an icon to thousands of students, administrators and boosters for his love and knowledge of the history of the university and his capacity to get things done. But few know of his success on the links, serving as both the women's and men's golf coach and mentoring some of the finest teams and individual golfers in Miami history. 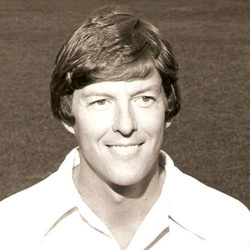 Norm would retire from coaching after the 1978 National Championship, but was coaxed into returning to duty in 1980 when he took over the men's program. In the Summer of 1981, Hurricane standout Nathaniel Crosby claimed the title of the 81st U.S. Amateur Champion, gaining national recognition for the Miami program. In 1982, the Canes made the NCAA tournament for the first time in 10 years, finishing in a tie for tenth. Miami returned to the NCAA tournament in 1986, gaining a sixth place finish and a tie as the school's highest finish in NCAA play ever. During his tenure with the men's program, Parsons coached future PGA players Woody Austin, Scott Gump and Scott Medlin. His wife, Linda McDonald, served as associate head coach for all eight seasons with the men's program. A native of West Virginia, and graduate of the University of West Virginia, Norm came to Miami in 1972 as Intramural Director and would serve in various positions with campus sports and recreation until 1996 when he became Director of the Herbert Wellness Center, a position he holds today. A member of Iron Arrow, the highest honor one can attain at Miami, Norm served as its faculty advisor for 15 years, and has chaired or advised many other student campus organizations and received numerous awards in his tenure with the university.